In a large bowl, cream the shortening and butter with an electric mixer. Gradually add the sugar, one cup at a time, beating well on medium speed. Scrape the sides and bottom of the bowl often. Next add the milk and beat at medium speed until light and fluffy. To decorate the cupcakes I used a store bought chocolate egg. 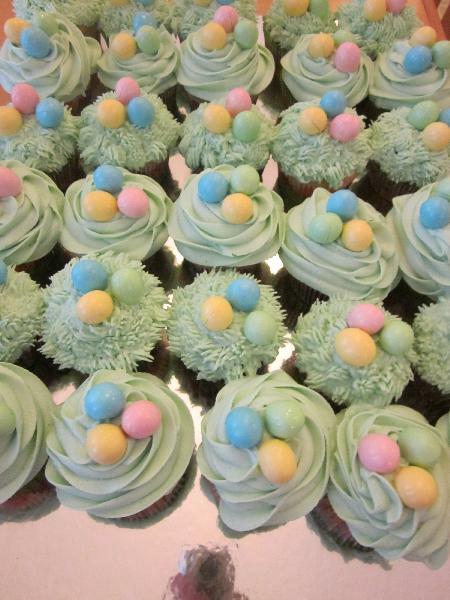 I used the grass tip on some cupcakes and the 1M on the other ones.